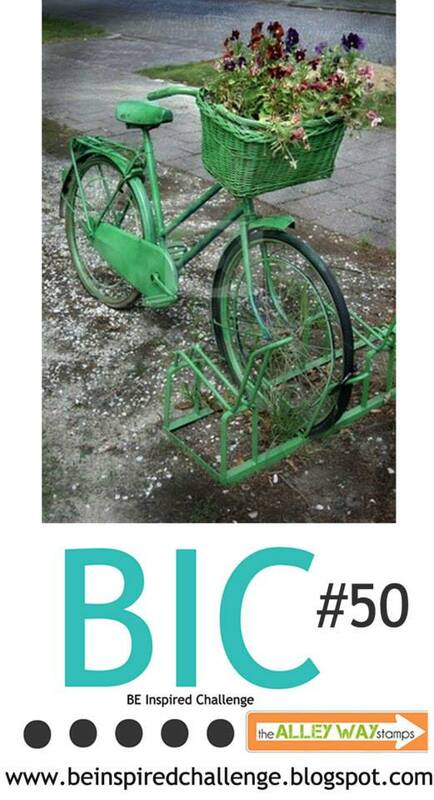 Chrissie here and I love the cutie car from Got It Covered! I stamped the sentiment from Speak Easy onto vellum and used a stencil with sparkly watercolors for the background. Hello! 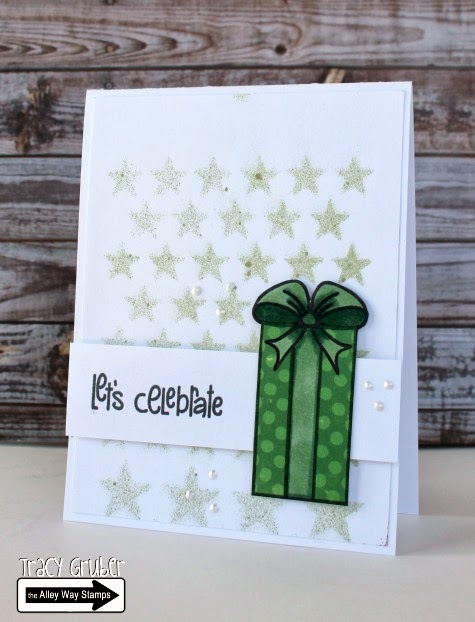 Tracy here with my card using the Wish Big stamp set. I paper pieced the present with patterned paper and colored in the ribbon with Copic markers. Hello, Sabine here. This is my card for the fun BIC #50. 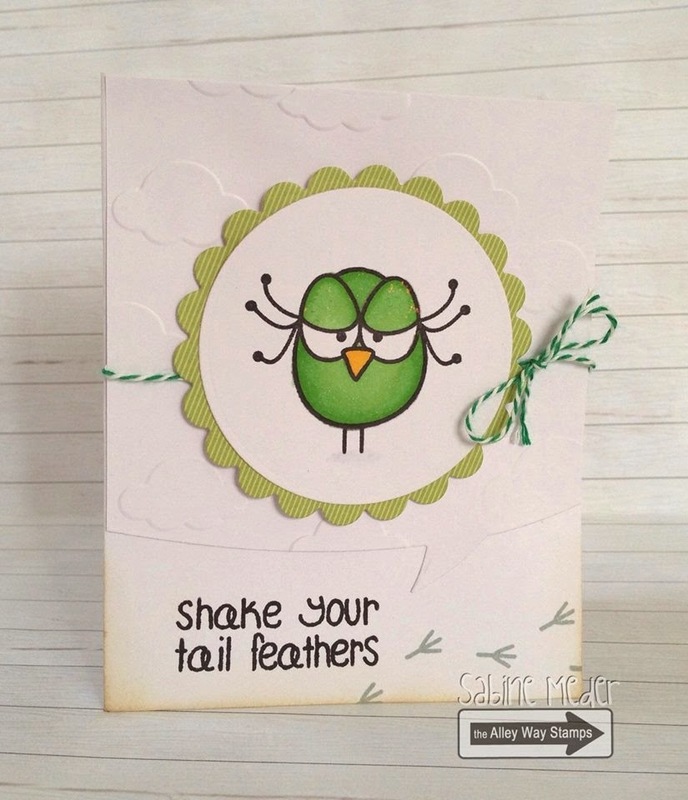 I used the cool green for my bird from Birds of a Feather. She has got awesome long lashes and I gave her glitter make up using stickles. Hey its Dana! 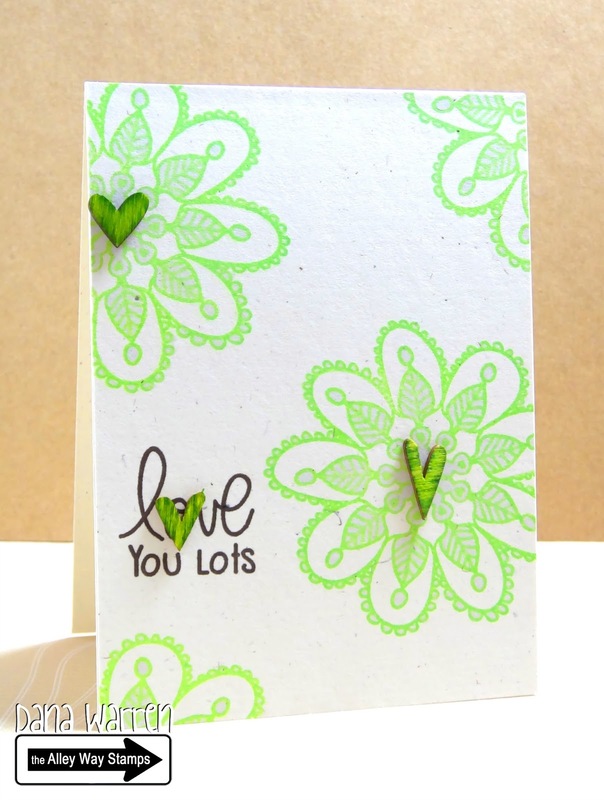 I went with green flowers (using Flower Doodles) and wood hearts!! I colored the wood veneer hearts with copic markers!